Dan Hitz is the Executive Director of Reconciliation Ministries of Michigan. He is an ordained minister through The International Fellowship of Christian Assemblies, and a Licensed Professional Counselor in the state of Michigan. He and his wife, Marianne, have been married since 1986 and have five children, one of whom has gone home to be with the Lord. Dan began his journey out of homosexuality after being saved in 1984, and is a survivor of childhood sexual abuse. He has been affiliated with Reconciliation Ministries since 1999 where he assists men and women who are overcoming sexual sin, sexual abuse, and difficulties with relationships. Dan has been in the ministry for over twenty-five years serving as a counselor, teacher, pastor, and prayer minister. He has a Master of Arts in Counseling from Spring Arbor University, a Bachelor in Science in Television Production from Ferris State University, and has attended The Hebron Fellowship Bible School. Dan Hitz is available to speak and present workshops at churches, conferences, and civic meetings. Pam Farlow-Wolgast is a licensed therapist and small group facilitator at Reconciliation Ministries. Pam was married for many years to her late husband, Jim, and has three sons, two daughters-in-law, and two grandchildren. She is a survivor of childhood sexual abuse and is experienced in trauma counseling, prayer ministry, inner healing, and deliverance. She holds a Master’s degree in Psychology from Wayne State University, a Bachelor’s degree in Education from Western Michigan University, a Master’s in Pastoral Counseling from Destiny University, and is an ordained chaplain. Pam is a Licensed Professional Counselor and Licensed Certified Social Worker in the state of Michigan. 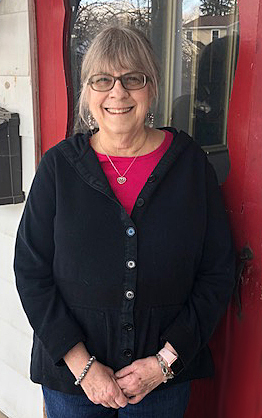 In addition to ministering on the Mending the Soul and Living Waters leadership teams, Pam is also a Bible teacher, and a member of the Oakland County Crisis Response Team. Kent Darcie is a therapist at Reconciliation Ministries. He graduated with a Master’s Degree in Clinical Psychology from Moody Theological Seminary, and will soon be licensed as a Limited Licensed Professional Counselor in the state of Michigan. Kent ministers with a focus on marriage and family. He and his wife, Kathy, have been married since 1983 and have three adult children. Kent brings many years of experience as the founder and president of Adult Children of Divorce Ministries. A ministry which expresses his passion for bringing the healing power of Jesus Christ and God’s word to those in need. He is also a Christian author and teacher.